If you’ve read my bio, you’ll know Alzheimer’s disease is a big reason why I’m in this field. When a parent develops Alzheimer’s, this profound thing happens. You suddenly become terrified you’ll have the same fate. You become determined to do all the things your parent never experienced, especially when that parent has early-onset Alzheimer’s. By age 59, my mother’s Alzheimer’s was full-blown. I’d been in denial until the day she called me to say she’d driven into a tollbooth. When I asked her why, she said, “The voices on the radio told me to.” That very moment defined a stark new reality I couldn’t deny. The mother I once knew could never be retrieved. My mother, younger than my age now, never had a voice! She never got to blow her horn. I was determined to not to end up that way. I wasn’t going to be invisible, useless or go quietly into the dark of night. In that moment on the phone, I made up my mind. If I had only limited time, I wanted to know how to be an older woman with a voice, how to live my life with meaning and be an older woman of passion, purpose, and possibility. Nothing was going to prevent me from using my voice and blowing my horn for the rest of my years. 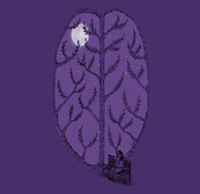 Today is World Alzheimer’s Day™. We must stand up and have a voice for those who do not. We must support the caregivers who spend their nights worrying and unable to help their loved ones. I talk a lot about finding your voice and awakening the visionary within, to make a difference, to stand up. My experience was one of my own defining moments, when my own visionary really started to open her eyes. But part of finding your own voice means also helping others to find theirs. Every year, on Sept. 21, Alzheimer’s associations across the globe unite to recognize World Alzheimer’s Day. Today is an opportunity to raise awareness about Alzheimer’s disease and the need for more education, support, and research. This disease affects millions of families across the United States and the world. Now is the time to act so that others will not suffer the same fate as my mother. I support this whole heartedly. Alzheimer’s is a devastating process to watch. I’m glad that it is not affecting you, Karen!